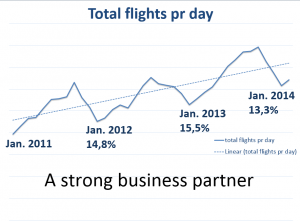 World’s most flexible Flight Planning solution based on LUFTHANSA Systems Flight Nav data. Low acquisition and running costs offering highest cost/benefit ratio in the market. Automated flight briefing packages with the highest quality. Automated data import from scheduling/crew/maintenance systems. Automated consideration of company policies and dispatch parameters. Automated filing, calculation and dispatch of all selected flights. Automated data export to present or future EFB solutions. 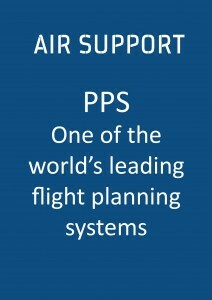 AIR SUPPORT is one of the world’s leading suppliers of Flight Planning software with web-based CrewBriefing facilities. 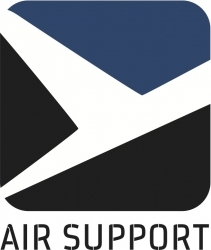 AIR SUPPORT is a Danish company located at Billund Airport. It was founded in 1989 and will be celebrating its 25th Jubilee this year. Today we have clients in more than 64 countries, which includes charter/cargo/schedules airline operators, military operators as well as business jet operators. AIR SUPPORT also specializes in providing advanced interfaced solutions towards airline operators and business aviation operators who utilize 3rd party scheduling & crew planning systems. Interfaced solutions offer the operator fully automated and dynamically optimized data output. The PPS Flight Planning system is one of the leading flight planning systems in the world due to the optimization of operating costs and the incredible and flexible usability. PPS features an AutoDispatch system and the fully automated AMEXSY internet based flight plan filing system. 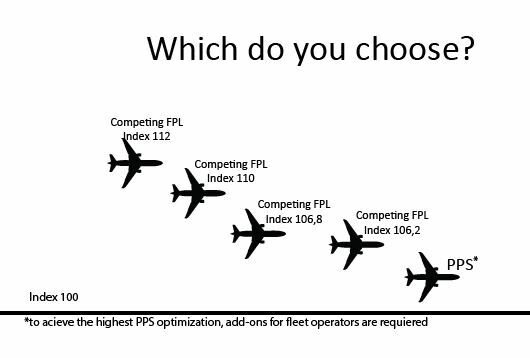 This enables airlines to run a completely automatic calculation of all flight plans on dynamic FPL filing basis. As changes are updated in the airline’s scheduling/crew planning system, PPS will automatically re-calculate all flight log data, based on the new information as well as Auto-File all ATC changes to the CFMU as well as all other relevant FIR’s outside the CFMU area. 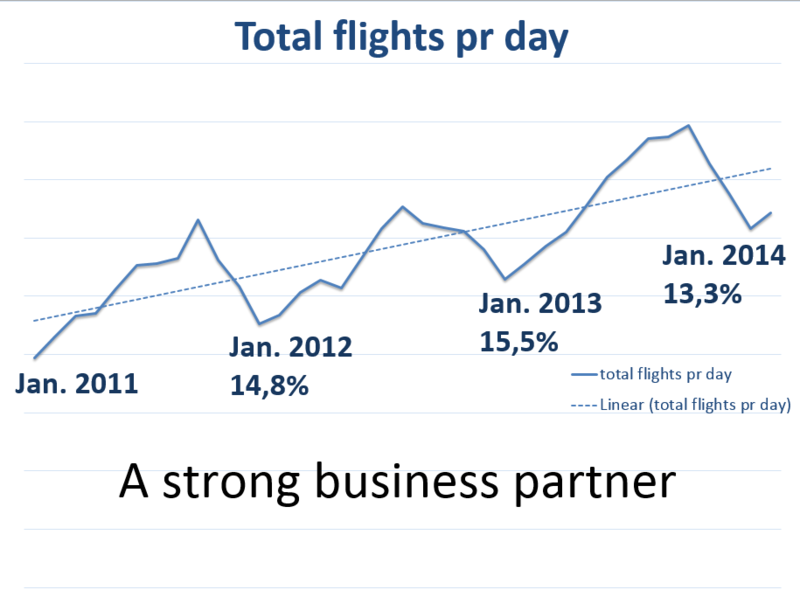 PPS gives a dynamic data feed of schedule changes, aircraft changes, load data etc. and a flight planning system engine that recognizes the aircraft’s performance profiles, DOC costs, fuel costs and the en-route overflight charges. This combined will enable the airline to achieve full automatic optimization and selection of the minimum production cost routing and best economical FL profile for all flights in relation to actual weight and forecasted en-route winds and temperatures. 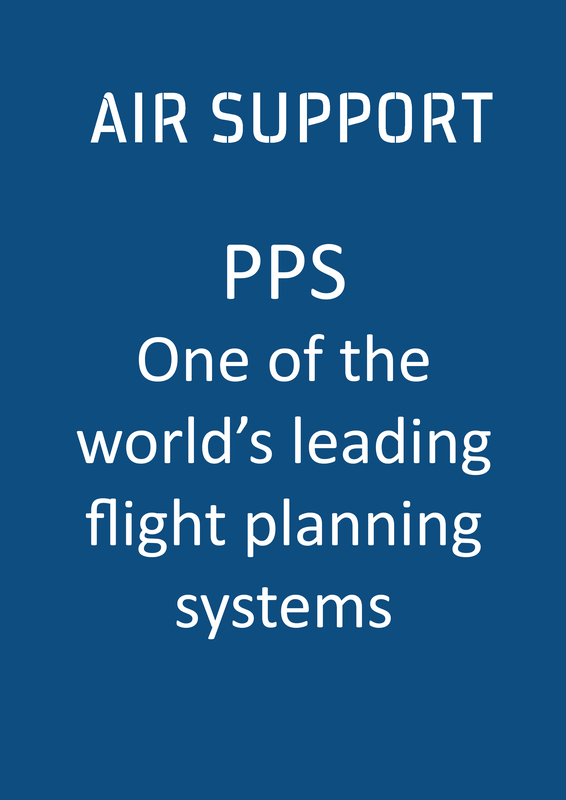 The combined synergy of PPS will ensure that you will have the most modern and powerful flight planning system available. CrewBriefing is a web-based flight briefing solution. PPS generates a complete CrewBriefing package directly on the CrewBriefing.com server, so the pilot is able to review trip specific company messages, flight log, trip tailored surface weather data, notams, wind charts and significant wind charts prior to print-out. To subscribe to the AIR SUPPORT newsletter click here.